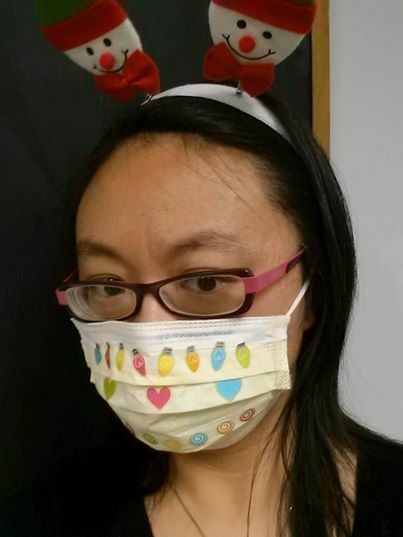 This woman is a pharmaceutical buyer and never comes into contact with patients, but when she refused to receive a flu vaccination she also was required to wear a mask. As we reported earlier, a Michigan nurse has filed a $100 million class action lawsuit against the hospital that fired her for refusing a flu vaccine as a requirement for employment. A former hospital employee is suing Coshocton County Memorial Hospital after being fired for not getting a mandatory flu shot. Karen Good, of Warsaw, filed a lawsuit Jan. 2 with the U.S. Southern District Court of Ohio against the Coshocton County Memorial Hospital Association, saying her employment was wrongfully terminated after she refused to get a flu vaccination in fall 2013 on religious grounds. Good, who the lawsuit states is a “practicing Christian with sincerely held religious beliefs,” was denied an exemption in October 2013. The lawsuit states Good is seeking monetary damages of at least $75,000 for back pay; statutory liquidated damages; expert witness fees; attorneys’ fees, costs and front pay; compensatory damages; and punitive damages. Good is filing the lawsuit under Title VII of the Civil Rights Act of 1964 with one count each of religious discrimination, religious discrimination-failure to accommodate and retaliation. She also is filing the lawsuit under the Ohio Law Against Discrimination Revised Code Chapter 4112 with one count each of religious discrimination, religious discrimination-failure to accommodate and retaliation. Good has requested a jury of at least eight people, according to the lawsuit. CINCINNATI — A former longtime customer service representative at an Ohio hospital has filed a lawsuit after she was fired for refusing to get a flu shot because she is vegan. Requiring employees to get a flu shot is standard at many hospitals because of their close contact with vulnerable patients. But some of those employees take issue with the requirement and refuse for various reasons. That includes Sakile Chenzira, a 58-year-old Cincinnati woman who was fired from Cincinnati Children’s Hospital in December 2010 for refusing to get the shot as required of all employees at the hospital, although it’s unclear whether she had any direct contact with patients. 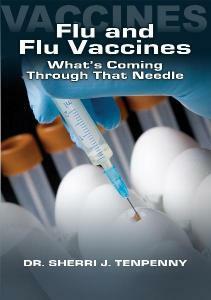 Chenzira cited her veganism, whose practitioners do not consume any animal products; the flu vaccine contains a small amount of egg protein. Chenzira filed a lawsuit against the hospital on Dec. 28, 2011, seeking a minimum of $650,000, and the case is set to go to trial before a jury in July. A major public-sector union has gone to court to fight a new rule that forces health care workers to wear surgical masks if they don’t get flu shots — once flu season is deemed to have started. “While we care deeply about our members and the patients and communities we serve, we will not allow the state to bully our members into getting a vaccination,” Susan Kent, president of the Public Employees Federation, said in a statement announcing a lawsuit against the new rule. The suit was filed Wednesday in state Supreme Court in Albany County. PEF represents a variety of state employees, including nurses who work in state run hospitals and institutions. Among other allegations, the PEF filing contends that the masks could frighten some mentally disabled patients and they actually serve as punishment for those who refuse flu shots. The masks, says the filings, could also become “germ-filled cesspools” for their wearers. As we have previously reported, the recent move by hospitals to become so strict over requiring their employees (whether they have contact with patients or not) to receive the flu vaccine, is due to a provision in the new Affordable Health Care Act (Obamacare) that states health care facilities must have 90% of their employees vaccinated for the flu, or lose federal reimbursement for Medicare and Medicaid. That amount was 1% in 2013 and is reportedly going to increase up to 2% by 2017. So now that the avalanche of lawsuits has begun against health care facilities for terminating employment based on flu vaccine status, or requiring people to wear a mask the entire flu season, the financial question they will need to consider is whether the potential 1% to 2% loss in Medicare and Medicaid reimbursement is enough to cover all their legal fees in trying to mandate the flu vaccine against the desire of their employees, and the ensuing litigation that could result from terminating employment or forcing them to wear masks. Of course, President Obama has rewritten so many aspects of the Affordable Health Care Act, that maybe he could just step in and strike out the clause that penalizes health care facilities for not having 90% of their employees vaccinated for the flu. Or is the pharmaceutical lobby too powerful to allow that to happen?